When we say we are BIG RIG friendly............we mean it. We Want your stay in Tuscumbia to be enjoyable. Our Park is easily accessed and easy to maneuver in with Big Rigs and Fifth Wheels. Every campsite has Water, Sewer, 50 & 30 amp Electric, and 48 Channels of TV. Additionally, we broadcast WiFi Signal throughout the park. You will love our Shower House. Trailer Life/Good Sam rated it a "9.5". It features Tile Floors and Walls, Walk-in Showers, Wheel Chair Accessibility, Heat and A/C, and a Baby Changing Station. Our Coin Laundry is open 24/7 and has 4 Washers and 4 Dryers, Ironing Board and Iron, Tables, Chairs, Soda and Snack Vending, Heat and A/C. Please, Come be our guest! We are truly Big Rig friendly. Come see for yourself! We strive to give RVer's a comfortable, convenient place to park. Our sites are wide enough and long enough to accomodate any size RV, including slideouts. Sites have sod and pavers around hook-ups. Pull thrus are great for overnight stays when you just want to pull in, hook up and rest without unhooking your tow vehicle. Pets are welcome, no extra charge. 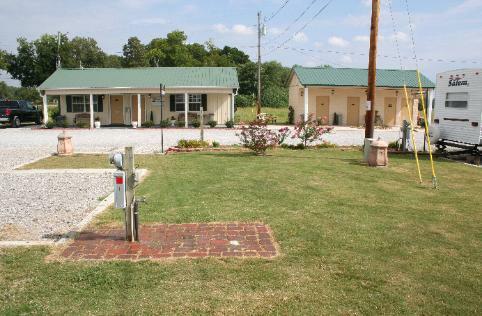 Heritage Acres RV Park and Campground, Tuscumbia, Alabama serves the surrounding area's rv and camping needs, including Muscle Shoals, Sheffield, Florence, Barton, Cherokee, Russellville, Town Creek, Courtland, Red Bay and the Robert Trent Jones Golf Trail in Muscle Shoals. 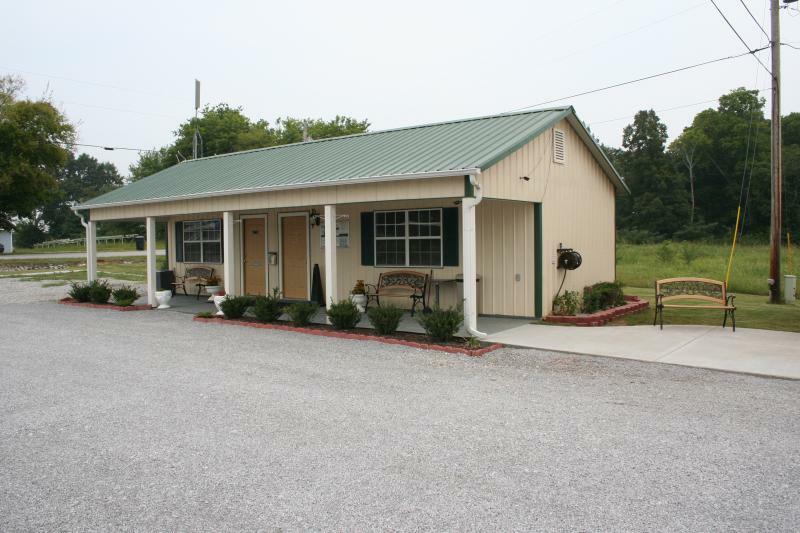 We invite to you to come camp with us next time you visit the Shoals area in North Alabama.